By @SimonCocking we found out more about the recent Accenture FinTech Innovation initiative in Citi last week. The Accenture FinTech Innovation Lab Showcase took place in Citi, on March 10th, from 12pm – 2pm. The FinTech Innovation Lab Dublin launched in 2014, on the back of successful Labs run in New York and London. The Dublin Lab launched at the same time as the FinTech Innovation Lab Asia-Pacific in Hong Kong. The inspiration behind the FinTech Innovation Lab Dublin came from the success of the Accenture FinTech Innovation Lab New York. The Lab was run in conjunction with the Partnership Fund for New York City and has created 385 jobs there since it was launched. 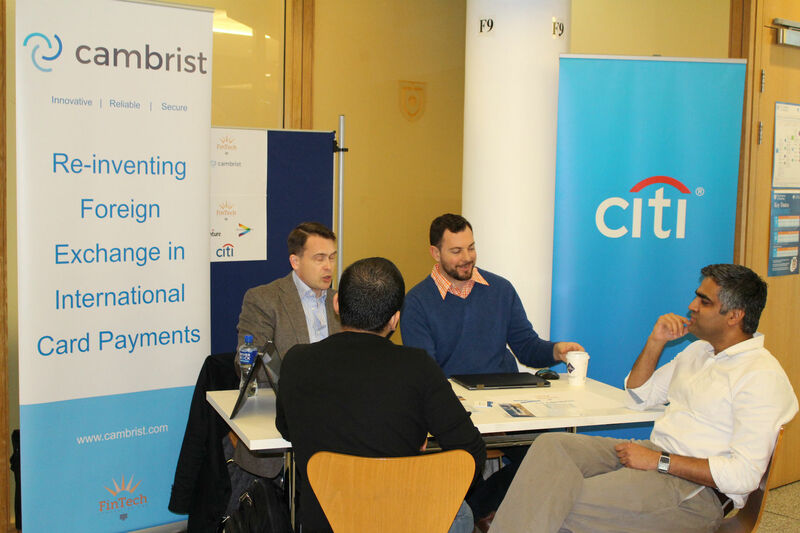 Citi has partnered with Accenture in the New York and London Labs as well as the Dublin Lab, where Citi currently mentors three of the six finalist startups. The companies taking part in the programme in 2017 are fine-tuning their approach and focusing more on the areas of interest for large corporations. The companies that Citi is mentoring; EuroComply; ID-pal; and Xintec; have based their startup idea on developing solutions in RegTech, KYC/Onboarding and Fraud Detection; areas that are of particular interest to multinationals and large corporations. What opportunities are on offer for those taking part? Companies in the 12 week accelerator programme work with industry mentors to develop their product for real world application. A series of workshops, panel discussions, one-on-one meetings and user-group sessions, such as the Showcase, help finalists to hone their product in advance of two Investor Day presentations in Dublin and in London at the end of March. Venture Capitalists and financial industry executives will attend the Investor Days, and over $386m funding has been raised through the programmes to date.